Todd Faulkner has been in the public safety field for 26years. 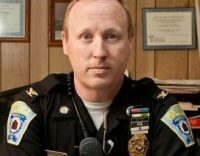 Todd is currently the Chief of Police for the Hinsdale, NH Police Department and previously held the ranks of Sr. Patrolman, Sergeant, and Detective Lieutenant. Todd is a current member of the NH Internet Crimes Against Children Task Force assigned as a computer forensics analyst,investigator and field supervisor. He is a special deputy with the Cheshire County, NH Sheriff’s Department and a Department of Homeland Security Title 19 Task Force Officer. Todd is state and federal court-recognized expert in computer and mobile device forensics and has been called upon by the NH Attorney General’s Office, VT States Attorney, NH United States Attorney’s Office and many others to conduct forensic examinations for child exploitation and violent crime investigations. Todd holds numerous certifications in the area of mobile device and computer forensics and has provided training to hundreds of investigators in the field of child exploitation, digital forensics, digital evidence procedures as well as many other digital investigation related training.